We are giving away $150 to Sephora!!! 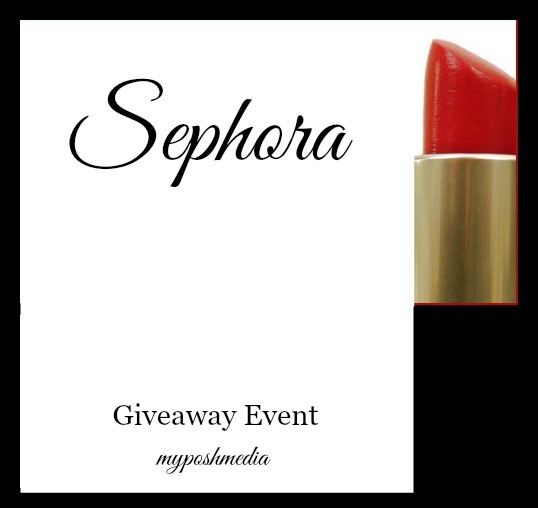 One winner will win $150 to Spend at Sephora. What would you do with $150 to Sephora? Disclosure/Disclaimer: This site or any other site associated with this event has in no way been compensated for the preceding information. This giveaway is valid where allowed by law, open to anyone who is able to shop at this site mentioned in the giveaway and who is over 18 years of age. One winner will be randomly selected on 12/01, notified via email, and will have until 12/03 to reply. If there is no reply another winner will be randomly selected. Please use your real email address if you are serious about winning this. Winners are posted on the MyPoshMedia site and, not on the entry widget itself, unless the winner wishes otherwise. Thanks so much! I need a little this and that. And that’s expensive, lol! This is so cool. I would give it as a gift to my mom! i would use it to help myself feel more confident and beautiful during my weight loss journey. I’d also use it to give gifts to family and friends for christmas. Awesome prize would love to win this for my daughter.